The 30th annual Missouri Southern Regional Science Fair was held March 26, drawing more than 90 entries from area high-school and middle-school students. Categories include behavioral and social sciences; cell, molecular and microbiology; chemistry and biochemistry; computer science, engineering and mathematics; earth and environmental sciences; human and animal sciences; physics and astronomy; and plant sciences. 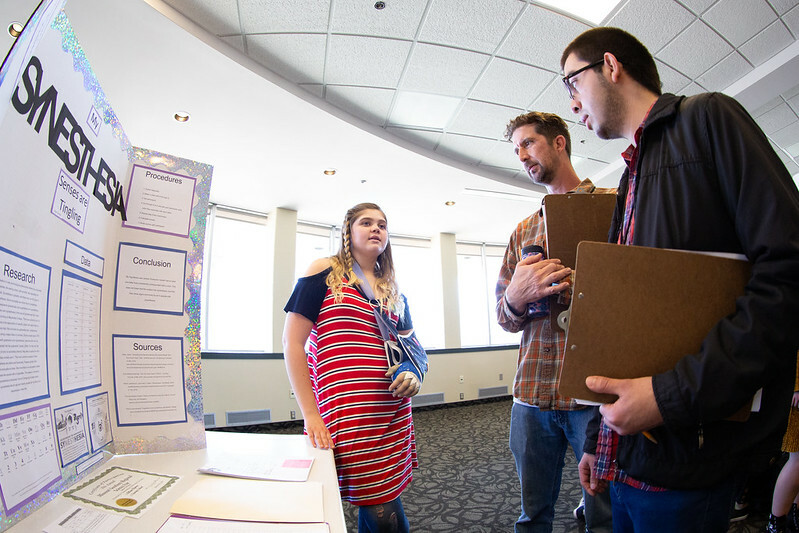 The event also featured Missouri Junior Academy of Science presentations, in which students write a formal research paper and then present their project during a 10-minute talk.